One of the Aeron’s main designers was Bill Stumpf and he was originally hired by Herman Miller in the late 1970s to investigate the potential of furniture for the elderly. The chair that was both common in medical and residential settings at the time was the La-Z-Boy and was where the ageing population spent most of their time. This, however, was not good for their health, especially in relation to back problems. The chair was terribly suited for elderly people but the problem wasn’t being addressed and to an extent wasn’t deemed important. That is when, along with designer Don Chadwick, these problems were addressed with the Sarah chair in 1988. However, the greatest innovation was hidden under the fabric, as the plastic frame that supported the body was set to become the design base of the coveted Aeron chair. Many of Herman Miller's products are designed to be ecologically sound, and many are good examples of eco-design techniques for achieving sustainability. This includes saving materials, energy efficient manufacturing, recycled content, and recyclable content, including design for disassembly. The design process also utilises life cycle assessment. 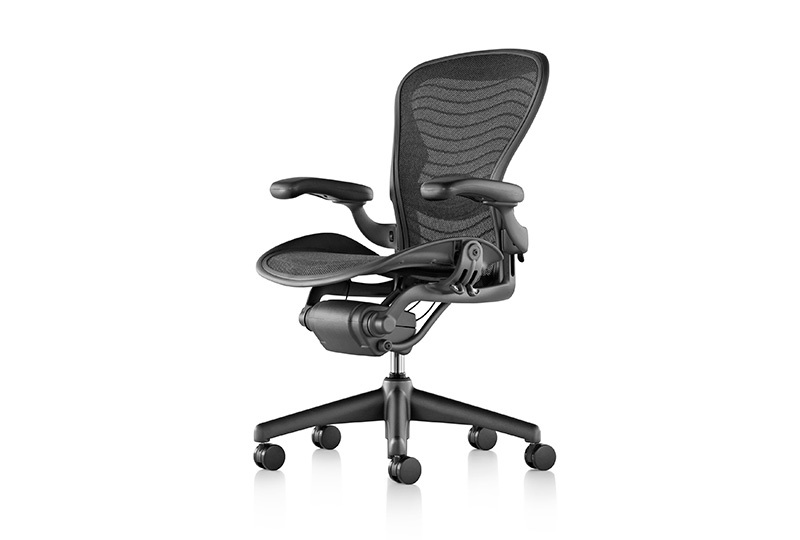 The Aeron chair was designed with this in mind and was heavily focused on ergonomics. The human form has no straight lines, it is biomorphic. The chair was therefore designed to fit the human shape and there are no straight lines to be found on the Aeron chair. The lack of cushions was a deliberate design feature, with the transparency of the backing symbolising free flow of air to the skin. It was described as doing this in the same way that lace curtains permit the flow of air, light and moisture into the home. The transparency was also born out of a major design movement, that later saw Apple’s transparent iMac computers and part of the purpose was to make the Aeron chair less intrusive than others in the workplace. 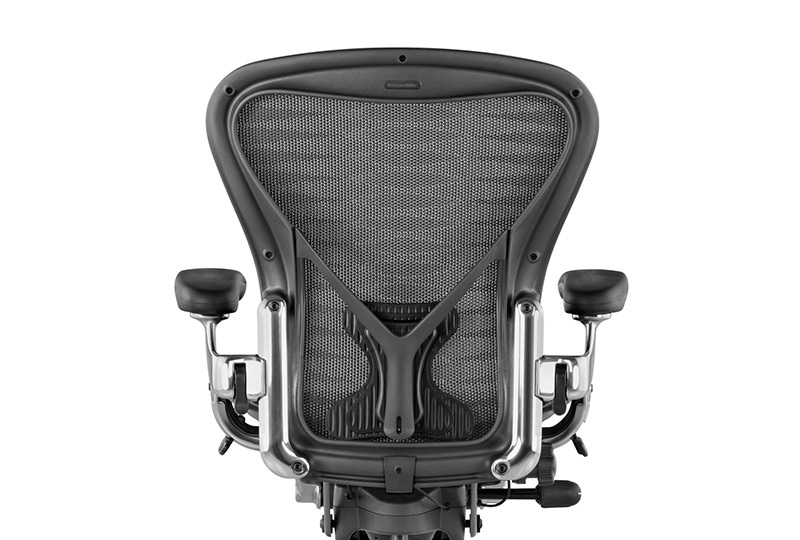 In the design process, the Aeron was refined and validated through research and expert opinions. The chair was tested for comfort with a number of different users and pitted against the best work chairs available. It was then evaluated by leading ergonomists, orthopaedic specialists and physical therapists to determine how good it was at supporting the human figure. The research team also carried out pressure mapping and thermal testing to determine the weight distribution and how the material of the chair’s seat and back allowed heat and moisture to flow freely. Their research also measured the relationship between sizes of people and their preference in chair size. Although the chair has an aesthetic heritage, the Aeron chair takes on its own unique look. This is part of the reason that the chair has become such a popular choice when buying office furniture. The unique form expresses its purpose and uses while revealing the composition of its parts and the way they connect. It is also made largely of recycled materials and is designed to last for a long time. Parts that wear out first on the chair are also easily replaced and recycled to give you further confidence in the long lasting design.